Just announced! 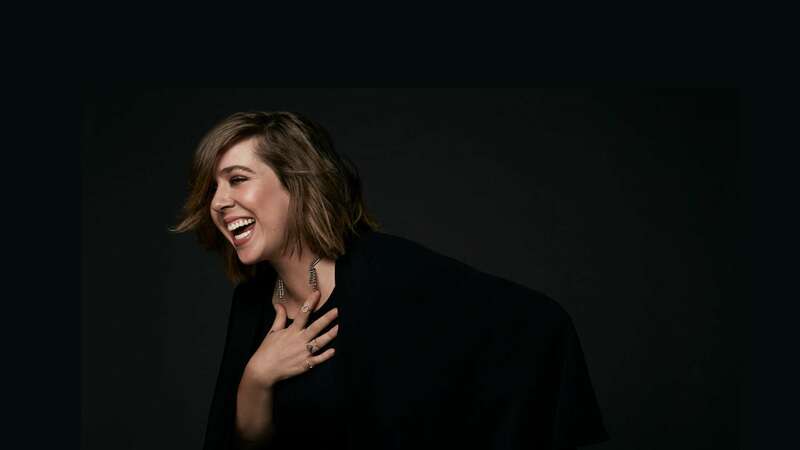 Deerhurst Resort is super excited to welcome one of Canada’s foremost recording artists, Serena Ryder, as the headliner for our 2018 Girlfriends’ Getaway Weekend! The concert is available to weekend package guests only. Get your BFFs together for a full weekend of shopping, food, music and laughs plus workshops, fitness sessions, Friday night Hawaiian Luau party and Saturday night concert featuring Serena Ryder. A weekend-long silent auction will benefit breast cancer services at the Huntsville Hospital. Booking for a group? Please designate your ‘lead gal pal’ so everyone knows what name the booking is reserved under on arrival. A nightly resort fee per room provides more benefits. 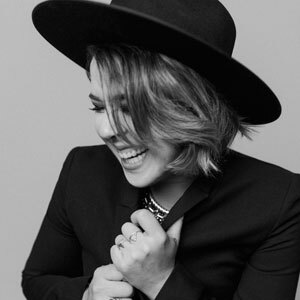 Serena Ryder is a Toronto born artist adored by fans and critics alike due to her immense raw and earnest song writing talent and electric live performances. Her newest EP, Electric Love is but the latest in a stellar career of hits that includes What I Wouldn’t Do, Weak in the Knees and Utopia. She has six Juno Awards and her songs have been played in over 50 TV shows and commercials, including Grey’s Anatomy, VEEP and Suits. Her single “Stompa” is 4x platinum in Canada and she’s sold over one million singles from her previous releases. “Stompa” also hit No. 1 at AAA radio in the U.S. for eight weeks (the most weeks at No. 1 since Adele) and landed in the Top 10 at Alternative radio, Hot AC and AC. Ryder has shared the stage with OneRepublic, Kanye West, Sara Bareilles, HAIM, Pitbull and Melissa Ethridge, and proved herself as a strong live performer with an avid fan base. It’s clear that listeners feels the same sort of healing in the music as Ryder does when she writes it. And this November, she’s ready to rock Girlfriends’ Getaway Weekend. Concert available with weekend package only. Visit Serena Ryder’s website here. Hawaiian Luau - Friday Night Party! We're kicking off the weekend with a Hawaiian Luau! Come dressed for a 'tropical getaway' in Muskoka and enjoy dinner in Waterhouse Room before heading over to Legacy Hall for a DJ dance party. Think Hawaiian shirts, grass skirts, sundresses, Hawaiian leis and more! Keep the party going and join us at the 'Black & White' After Party happening right after the Serena Ryder concert. Dress head-to-toe in everything black and white and have some fun all in support of Huntsville Hospital Foundation and Breast Cancer Awareness. A lack of financial confidence leads to increased worry, which is NO FUN. It does not have to be that way! Come nerd out with financial wiz and media personality, Shannon Lee Simmons. She’ll provide a hilarious, helpful and easy to implement money workshop that will have you feeling confident, motivated and dare we say, excited about how you CAN FEEL GOOD about your finances. For real. You won’t regret it. No "stop buying lattes" advice here! Bio: Shannon Lee Simmons Shannon is a Certified Financial Planner (CFP), Chartered Investment Manager (CIM), media personality, author and founder of the New School of Finance. She is widely recognized as a trailblazer in the Canadian financial planning industry. Her new book, Worry-Free Money (Harper Collins) is a national best seller. 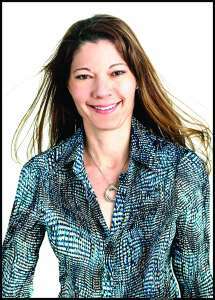 She has a monthly column with the Globe and Mail and is a personal finance columnist for CBC’s On the Money and Metro Morning. She is also the financial expert on The Marilyn Denis Show, a public policy ambassador for the Financial Planning Standards Counsel of Canada and a certified life coach. She is known for her whip-smart sense of humour, enthusiasm and freakishly accurate insights into how we, as humans, relate to, use and think about money. Join designer and tv personality Jackie Morra as she offers her fun and energetic tips and tricks on getting the most out of your home with the latest in design and colour trends for 2019. Known for teaching how to connect with your own personal style and create spaces that are a reflection of who you, Jackie uses her enthusiasm and love of design to engage her audience while sharing stories and tips that connect them to their passions. 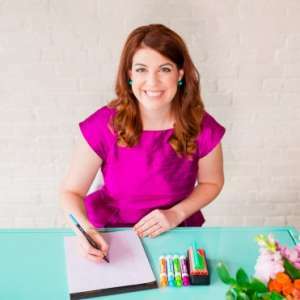 Bio: Jackie Morra is a popular speaker at shows and events across Canada and has been featured in various media such as Breakfast Television, Global TV- The Morning Show, City TV, Toronto Star, Globe and Mail, Houzz.com, and ApartmentTherapy.com and Urban Rush Vancouver to name a few. One of the top 10 personal trainers in Canada of 2018, Ashley Bird wants to share her simple, no nonsense, and totally achievable nutrition guidelines to achieve your goals. Sound complicated? Uh uh. Ashley will share the fundamentals of a sustainable diet that’s flexible enough to fit in your favourite foods without the guilt! You’ll learn how to eat the right amount of food, read food labels, and determine the proper macronutrient portions for your body. Her approach is about evidence based dieting protocols without fads and gimmicks so you can finally end the cycle of yo-yo dieting once and for all. Bio: Ashley Bird is a Precision Nutrition Certified Coach, a NSCA Certified Personal Trainer and Certified Canadian Powerlifting Union Coach. But she also competes as an athlete as a UFE Pro Fitness competitor. Based in Huntsville, she is the owner of The Barbelles, a fitness and nutrition training centre with programming geared to women. **Requires advance booking by October 15th so Leah can provide enough materials. Discover a simple and stylish way to enjoy essential oils throughout the day by joining Leah Marie for a diffuser jewelry workshop. This fun and interactive event will have you rolling up your sleeves and letting the creative juices flow. Not creative? Don't worry! Leah takes the guesswork out of making a beautiful stretch stil bracelet that also provides the benefits of essential oils just by wearing it. All the materials are provided to complete your project. Bio: Leah Marie has been designing and creating jewelry since her materials were pony beads and pipe cleaners! After discovering essential oils she began looking for ways to be able to enjoy all the benefits of essential oils during the day and happened upon lava stones to incorporate the oils into jewelry. 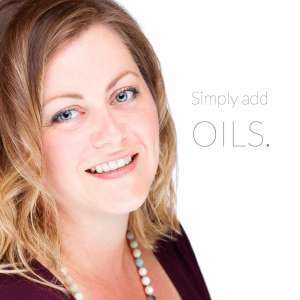 From there Simply Add Oils grew and Leah now offers workshops and online orders. Winter – and the holiday season – will be fast approaching! See how you can update your wardrobe with new trends across a variety of styles. From casual and cozy to just right touch of sass for the season, you’ll see the latest fashions for real people living real life! Let's slow things down a little. Stretch and strengthen your body gradually with emphasis on building awareness of the breath and the body. Practice movements at a slower pace with extra attention to alignment and detail. This class is appropriate for all levels looking for a soothing, relaxing, and restorative experience. It’s time to get pumped! Learn to lift weights with proper form, technique and intensity to increase strength, gain muscle and ultimately change your body composition. Use these tips to train with confidence in the gym and get a great workout in! All levels are welcome. Bio: Ashley Bird is a NSCA Certified Personal Trainer and Certified Canadian Powerlifting Union Coach. But she also competes as an athlete as a UFE Pro Fitness competitor as well. Based in Huntsville, she is the owner of The Barbelles, a fitness and nutrition training centre with programming geared to women. It’ fun and fitness in one awesome class! Latin cardio meets Latin rhythms with easy to follow moves to create a one-of-a-kind fitness program. The routines feature interval training where fast and slow rhythms and resistance training are combined to tone and sculpt your body while burning fat. Scale new heights and check rock wall climbing off your bucket list under the guidance of Deerhurst’s Recreation managers. They’ll show you the ropes – literally – and will cheer you on as you make your way up one foothold at a time. Haven’t you always wanted to reach for the top? Instead of just listening to music, you become the music in this exhilarating full-body workout that combines cardio, conditioning and strength training with yoga and Pilates-inspired movements. POUND transforms drumming into an incredibly effective way of working out. Furious, fast and fun! Technical Gear For Yoga Lovers, Runners, And Everyone In Between. Whatever the fashion dilemma, our team strives to solve these personal struggles by educating how to dress for “your” unique body type because most women have no idea. We build up confidence from within which changes their outlook towards fashion and their so-called limitations. Our mission is to empower women to embrace their curves and love the shape you’re in by offering honest, expert advice combined with exceptional service and above all quality, handpicked clothing sizes Medium to 4X. Put them on and strut with confidence. She Loves Leggs super, comfy leggings are very versatile and come in a wide variety of amazing designs and patterns. They are great for yoga, working out, lounging and day to day living! We are sure that once you own and wear a pair - you won't be able to have 'just one'! "Canadian made ‘wear-anywhere-active-wear’. The collection of knitted jackets, hoodies and tunics are feminine yet edgy and while it’s perfect for après sport, you will want to travel, work and live in them every day." Express is the style source for fashion-forward young women, for everything from first job interviews to weekend parties. We believe in living for the moment, dressing for the moment and having a strong individual style. Handmade with mindfulness by Veronica Ciandre & Co. in a meditative environment, using natural and semi-precious stones, raw crystals, Sterling silver, and 14kgf. Fibonacci Sequence, which amplifies the healing property of the stones, and facilitates the resonance of balance, beauty, and harmony. Modern / sacred jewelry to wear, hold, ground cleanse, focus and heal. “There was a time when all things worn on the body had power, meaning, or purpose… I believe it’s time again.” V.C. Introducing Poppy & Peonies a Canadian company out of Penetanguishene bringing you gorgeous vegan handbags & accessories that are fashionable and functional.Natalie Dusome, the founder, CEO & Designer, has designed for Global Brands such as Fossil, Banana Republic and Aldo. As Natalie's Career had brought her all over the world. It was her Heart that brought her back to her hometown, where she married her high school sweetheart and started a family. She has a beautiful girl named Poppy. Who inspired not only the name of the company but a quest for functional fashion.Poppy & Peonies delivers just that- trendy, affordable and versatile vegan Leather bags that can be worn multiple ways to suit the many events in your life. We're sisters, Amy and Sarah Noble. We have always had a love for fashion and, in June 2016 we took that love and made it a reality by opening Lemon & Limestone Boutique in the picturesque village of Elora, ON. ​ In this day and age its easy to buy clothing that's cheap and disposable, but not from us - carrying many fine Canadian lines (Tonic, Pixie Mood and Elate Cosmetics just to name a few), we offer stylish, comfortable, quality products that are unique, eco-friendly and sweatshop-free, as well - products you can feel good about. "Judy's boutique - JB's Things, will offer you up-to-date fashion with clothing and accessories making your Girl's Weekend shopping experience one you would enjoy and never forget"
CH Soaping Designs is all Handmade Bath and Body Products. Our soaps are all made with all natural butters and oils. We carry a wide variety of Artisan soaps and other bath and body products. Check out our collection today. Lash By Lash offers individual eyelash extensions, Facials, Ear Candling, Body Wraps, Full Body Relaxation Massage & Waxing.